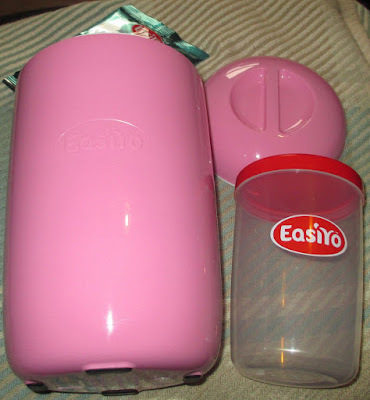 We were very keep kindly sent an EasiYo Yoghurt Maker to try out. This is a device that enables you to make your own yoghurt at home. 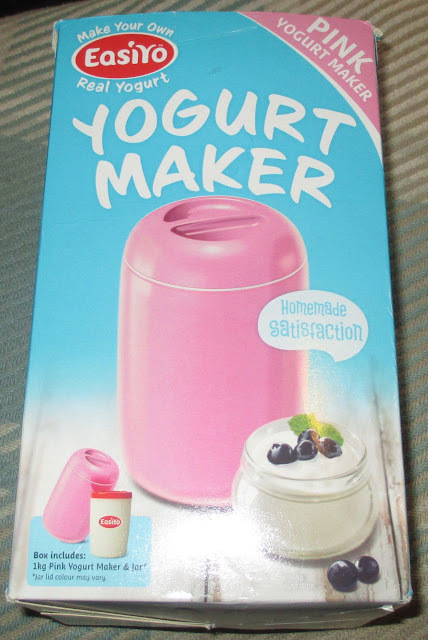 I have to admit I’ve never made yoghurt, or even thought about how I'd go about it, but I feared it would be a complex process. The product has most of the word "easy" in its title, so here is hoping it lives up to expectations! Inside the box is a fab pink device (if pink isn't your thing other colours are available), which looks like a thermos with a container for the yoghurt. You have to purchase sachets to use with the EasiYo separately, but Holland and Barrett seemed to have a good selection. We decided to start by giving Greek Style Coconut a try. 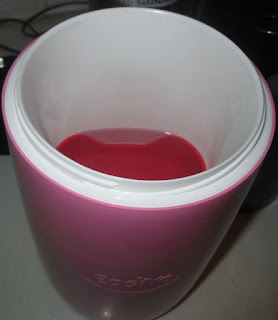 In order to use the kit you start by half filling the inner container with lukewarm water, and then adding the contents of the sachet and giving the whole thing a shake. 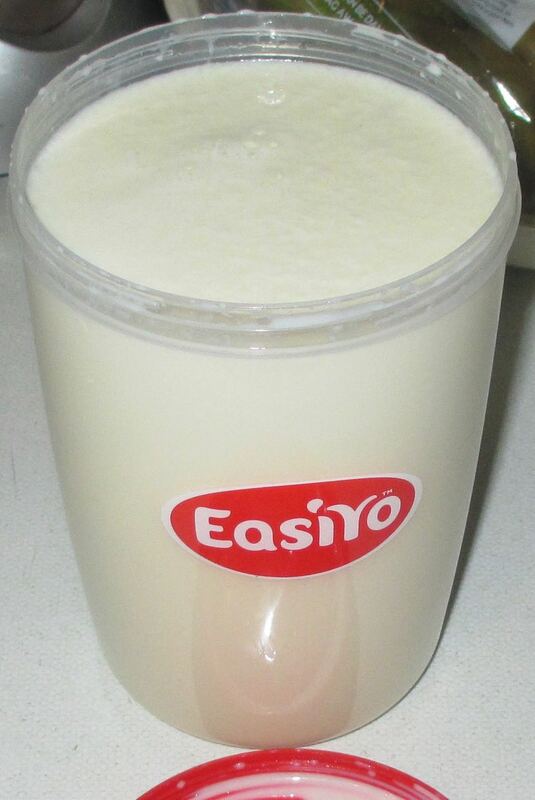 Once done you top up the container with more lukewarm water and shake again. Then you fill the main thermos with boiling water up to the top of the red divider which sits inside it. I had found this part a bit confusing as I wasn't quite sure where to fill too, but looking at the pictures I think I got it right. Then you put the yoghurt container inside, some of the boiling water then covers the base of this and slightly up the sides. All you have to do is seal it up and leave it for 8 to 12 hours until its ready to go in the fridge. After the allotted time, but before putting it in the fridge, I gave it another shake as advised on the pack as the coconut had settled on the surface. I could tell the yoghurt looked quite thick. The yoghurt itself was remarkably tasty, it was thick and creamy and the coconut really emphasised this. There was a big tubs worth so it lasted the week (which is the recommended time that it keeps) and we enjoyed it on its own and with breakfast cereals and fruit. I enjoyed making it, and it was as promised rather easy. I liked the fact that the only thing messy to wash up was the yoghurt container, as the thermos only had hot water in it. The only negative is the fact that you are tied to the sachets they make for it, and their availability. There did seem to be a good selection though, with many other flavours I'm looking forward to trying. 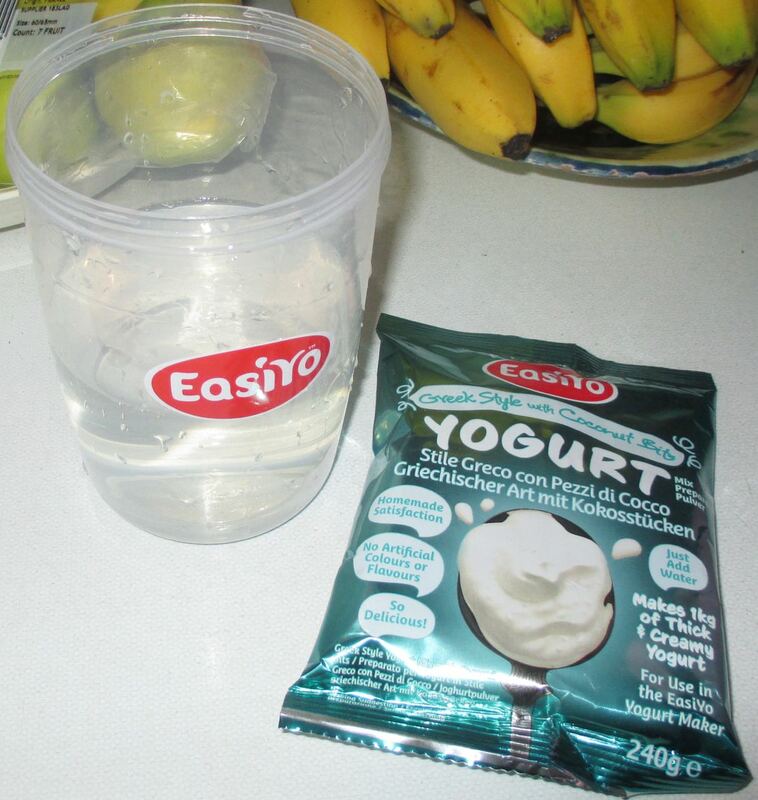 You can use other brands' sachets as well or there are loads of recipes on the internet for making your own yoghurt from scratch.